This gorgeous shop front is found in the town of ‘s-Hertogenbosch, or Den Bosch for short, and is the town I grew up in. 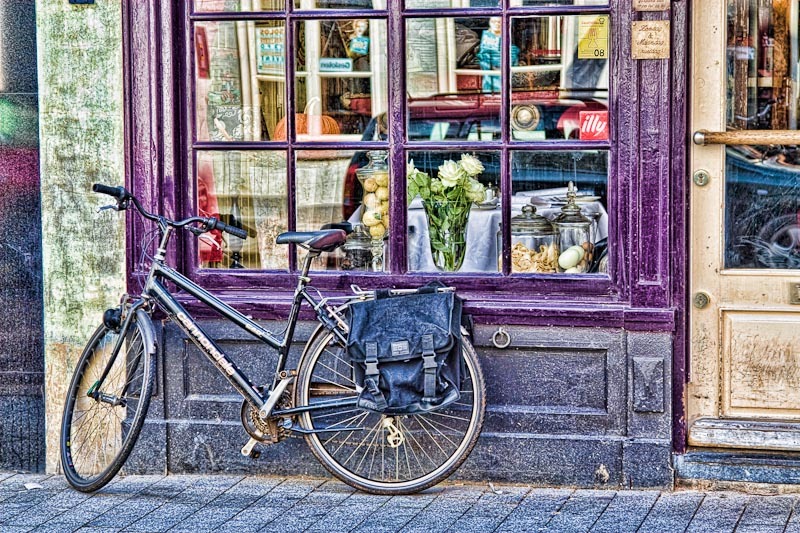 I really liked the reflections in the glass window and the lonely bike, which is such a typical Dutch scene. This street (the Hinthamerstraat) is one of the main shopping street that leads into the town center, at the heart of which lies a market square. The name of the town literally means “The Duke’s Forest”. The duke was Henry I, Duke of Brabant who founded the town and granted the city rights in 1185. This entry was posted in Den Bosch, Doors of the World, The Netherlands.